So, if you've ever done any self-help or 12 Step work, you have probably heard the expression, "Pulling a Geographic"- essentially, you try to solve an internal problem with an external action. The classic example is moving, changing your geography to get a fresh start. Well, it's not exactly recommended. It's considered running away from your problem. But then, I read once that if you're trying to break a bad habit, doing it in an unfamiliar location can help you because there are no specific environmental cues or triggers. So, net/net, it's either helpful or harmful to try and be somewhere else trying to break a habit or get a fresh start. All of this to say, I have been eating pretty badly the past few weeks, and I have to get it back under control. 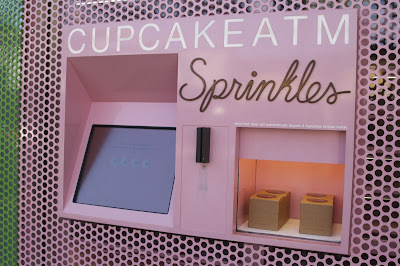 I had my final sugary hurrah this morning - a Sprinkles cupcake - yellow cake, chocolate icing, yum. That's a problem with my current geography. 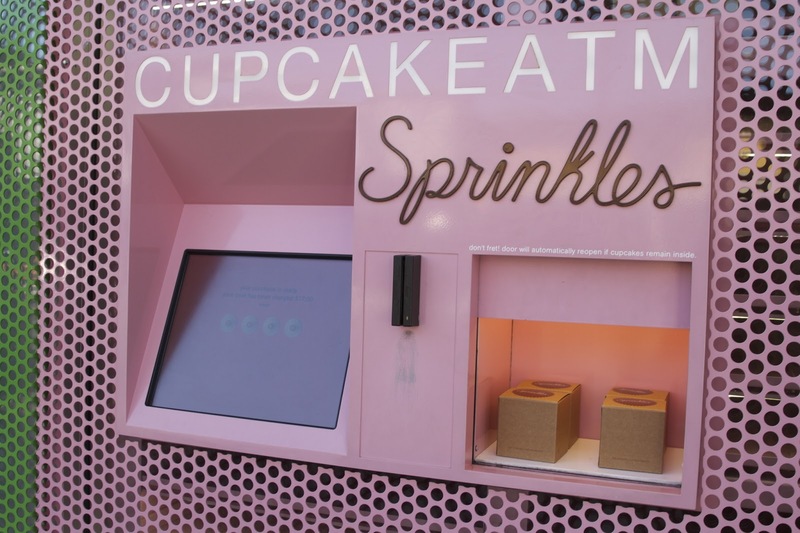 There is a 24 Hour Cupcake ATM minutes from my house. Today, I leave for Richmond. It's a three week stint, though I do get to come home the first weekend. But for the most part, I'll be in Richmond for three weeks, and I need to use my time there to reset, detox off the sugar. Quit ice cream, quit candy. QUIT THE DAMN CUPCAKES. And come back a few pounds lighter, I hope. So, with that, I have my bag packed, time for a quick shower, then, it's time to pull a geographic. Good luck--and also I can see the value of "pulling a geographic". It seems like a perfectly reasonable way to deal with certain problems. And, you know, anyone who's ever done any kind of self-help should know that just as there's no such thing as a perfect solution there are actions that, while they may not help in some cases, they do help in others.